Getting ready for NaNoWrimo? 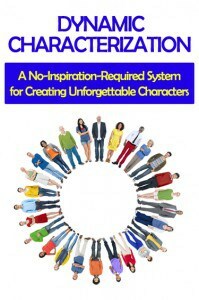 To help you develop your characters, I’d like to share this lesson from my workshop, Dynamic Characterization: A No-Inspiration-Required System for Creating Unforgettable Characters. You’ll learn how to make sure that your character’s personality traits come through clearly on the page. We often talk about giving our characters personality traits. But what does that mean? A personality trait is a mode of interacting with the world, and more specifically, with other people. When we talk about personality traits, we’re really talking about habitual behaviors that people engage in. Haughty: someone who is haughty behaves as if they’re at the top of the social hierarchy. Humble: someone who is humble behaves as if others are equally high, if not higher in the social hierarchy. Ruthless: someone who is ruthless behaves as if the harm they do to others while pursuing their goals doesn’t matter. Snarky: someone who is snarky behaves as if it’s their job to make fun of all the things wrong with the world (and the people in it). Shy: someone who is shy behaves as if other people are dangerous. Shy people protect themselves by avoiding social interactions whenever possible, and minimizing social interactions when avoidance isn’t an option. Aggressive: someone who is aggressive behaves as if the only way to get what they want is to force others to hand it over. Generous: someone who is generous behaves as if they have enough (time, money, etc) that they can afford to share what they have with others. Intuitive: someone who is intuitive behaves as if their gut feelings are just as valid (or more valid) than what they can understand by using logic. Remember, traits are not just behavior, they are habitual behavior—behavior that the character displays consistently again and again. A character’s goals and motivations determine where they’re headed, but their traits (habitual behaviors) determine how they get there. Let’s look at an example of a character who needs a bank loan. A haughty character might try to intimidate the loan officer into giving them the loan, or try to impress the loan officer by putting on airs. A humble character might ask for help and appeal to the loan officer’s spirit of generosity. A ruthless character might badger the loan officer with verbal abuse or try to blackmail him into granting the loan. A snarky character might be in danger of sabotaging her own efforts to get the loan because she can’t turn off the critical commentary—or she might endear herself to the loan officer by snarking on someone the loan officer dislikes. A shy character might stutter or even hand over the paperwork without saying anything at all. An aggressive person might deluge the loan officer with pie charts, spreadsheets, and a thirty-page report on why they should be given the loan. A generous person might bring the loan officer coffee (without intending it to be a bribe) or go out of their way to rearrange their schedule for the sake of the loan officer’s convenience. An intuitive person might listen to what their gut is telling them and refrain from pushing the loan officer to make a decision that day. A character’s behavior in a single incident can be misinterpreted by the reader. Maybe the applicant isn’t generous, maybe she really is trying to bribe the loan officer by bringing that coffee. Or maybe she went out of her way to accommodate the loan officer’s schedule because she’s desperate for the money. That’s why we don’t just show a character’s core traits once—we show them many different times in different situations. Habitual behavior, remember? We want to give the reader an opportunity to compare a character’s behavior across multiple scenes so that the reader naturally develops a sense of the character’s personality as the story unfolds. Be selective when assigning personality traits to your main characters. Too few traits makes a character seem one-dimensional, but too many traits causes the character to seem inconsistent and/or generic. Secondary characters can display only a single trait during their brief appearance in the story, as the reader won’t expect them to have a lot of depth, but the bigger a character’s role in the story, the better developed they should be. Let’s run through the character expression elements for a character who’s displaying the trait of slyness. cunning or wily: sly as a fox. playfully artful, mischievous, or roguish: sly humor. A person who is sly behaves as if the best way to get what he wants is to be secretive while manipulating others or working indirectly/behind the scenes. He’s smart or cunning enough to get away with this the majority of the time. Often, he will be playful when he feels he can do so without endangering his secrets. Dialogue: A sly character won’t speak his mind directly or reveal his secrets easily. He’ll flatter, tease, hint, cajole, imply, speak in ambiguities or outright riddles, dole out misleading tidbits of information, lie by omission, tell half-truths—but to get the whole truth from him, other characters will have to either outsmart the sly one or threaten the sly one with a fate worse than giving up his secrets. His playfulness may come through via teasing, wordplay, double-entendre, joking, etc. So when you’re writing this character’s dialogue, it’s crucial that you have him speak indirectly unless he has no other choice. In each scene, ask yourself how this character will attempt to manipulate others when he speaks. Action (voluntary and involuntary): Direct conflict will be a sly character’s last resort. He’ll do things behind the scenes, attempt to work through others, or misdirect others’ attention to give a false impression. When confronted directly, he’ll use whatever tools are available to extricate himself from the conflict: implying that another person is to blame for the problem, twisting the confronter’s words, changing the subject, defusing the conflict with humor, etc. If the conflict can’t be defused, the sly character may attempt to manipulate others into protecting him. Because of his playful nature, he may treat life like a game, or indulge in practical jokes, or practice other sleight-of-hand or other forms of physical trickery. Unless a sly character is alone, everything action he takes in the scene will be done for the purpose of influencing those around them. So when you’re writing this character’s action, you will always want to ask yourself: What’s the secret agenda? How can this character appear to be doing something innocuous while furtively pursuing his goals? Body Language: Body language is likely to be poised and controlled, with deliberately calculated facial expressions. You might show that a sly character is under extreme duress by letting his expression slip and reveal something that he didn’t intend to share. One thing that the dictionary.com definition of “sly” didn’t include is that sly people often come across as smug or self-satisfied (it’s that “I know something you don’t know” attitude leaking through). So when you’re contemplating body language, you might want to occasionally let the reader see this character with a smug expression on his face. Thoughts and Feelings (interior monologue, visceral sensations, intuition): If the sly character is a POV character, you’ll be showing the reader his thoughts and feelings as he schemes his way through the story, and the incongruity between his thoughts/feelings and his outward behavior will make clear to the reader what a sly fox he is. If the sly character is not a POV character, the reader won’t necessarily know if he’s sly or sincere, and the fun will start when his true motives are discovered by other characters in the story. Habits: Since this character has secrets to keep, he’s probably not going to keep anything important written down, or if he must have a written record of his secrets, he’s going to have a great hiding place for them. He might make an effort to vary his routine enough that others won’t be able to predict where he is at any given time. Or he might stick to a solid routine that gives him opportunities to spend time with (and manipulate!) key people in his life. He might have a hobby that’s deliberately calculated to project a particular image. Or perhaps he’s got a hobby that he only practices in secret, because he wants others to underestimate him when he puts his big plan into action. He’s probably in the habit of gossiping in order to keep tabs on what everyone else is up to or to find out what they know. Maybe he even pays others to collect information for him that he can use to manipulate the people around him. Quirks: Perhaps he sleeps with his password-protected smartphone under his pillow to be sure no one else has access to it, and never reads email unless he’s alone. He could have developed his own shorthand code for those situations where he absolutely must write something down on paper that he doesn’t want others to discover. He undoubtedly shreds his mail and receipts, unless he wants someone to find them. Clothes, Accessories and Grooming: He probably wears whatever he needs to in order to project the right image at any given moment. Tools and Special Objects: We might decide that this character is really secretive and that he has a set of lockpicks that he keeps under his mattress for snooping emergencies. Depending on what secrets he’s keeping, he might have other special items to protect: blackmail photos, a locket of his late mother’s which he wears tucked away under his shirt to remind him why he must not rest until he avenges her, or a love letter from the high school sweetheart who turned him into the manipulative secret-keeper that he is today. He might also have possessions that he displays prominently, not because they have sentimental value—revealing what he cares about makes him vulnerable—but that he pretends are important in order to manipulate how others see him. An expensive vase collection to serve as his “in” with the evil Duke. A rare signed baseball which he uses to convince his marks to invest in the con he’s running. Meaningful Locations: What might be a meaningful location to a secretive person? How about someplace where he can relax and be himself? It could be some place quiet and isolated. Or perhaps he has a secret life of some sort—a girlfriend in another city, or an out-of-town bar where everyone knows him under a fake name. Scars, Wounds, Body Modification, and Unusual Physical Traits: Hard to tell this from a personality trait—if we had an idea why he’s so secretive, maybe we’d give him a scar to fit. For example, if the secret he’s keeping has to do with being an abused child, perhaps he’ll have a scar that he reveals at the climax to prove that he’s the villain’s son. But for now, let’s leave this open until we know what kind of story we’re going to put him in. For the sake of this exercise, we’re designing a character in a vacuum, but in real life, we almost always have at least a hint of the story that we’re building characters for, so chances are this category and the next would be things you’d already know. Secrets: Since we don’t know what type of story he’s going to be in yet, we’ll leave this blank, but as we get more of a feel for him, we’ll revisit his secrets. He’ll have one really big one for sure, and probably several small ones that may be revealed or hinted at during the course of the story. Relationships: There are probably few, if any, people he trusts enough to be completely open with them. Anyone he does trust is someone who has deep roots in his life—a very old friend, a sibling, or someone who owes him so much that they could never repay the debt. For the most part, he probably thinks in terms of short-term alliances rather than long-term relationships. His relationships are likely to be based on mutual interests/problems rather than on whether or not he likes the other person. If you choose character expression elements for your characters’ personality traits, you’ll have a list of behaviors that you can sprinkle throughout the story that will paint a clear picture for the reader–without you ever having to point out that your character has that trait. Not sure how to choose personality traits for your characters? Here’s a list of personality traits (in a downloadable PDF). Choose a trait you think might be good for the character you’re developing. Then start selecting character expression elements related to that trait. Will the behaviors that a character with that trait exhibits work for the story you want to tell? Have a great character but struggling to come up with a plot? 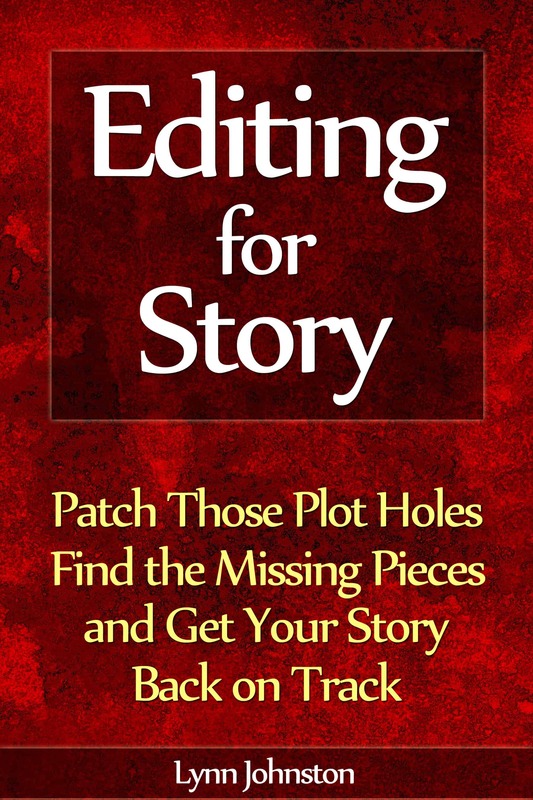 My workbooks teach you a plot-as-you-go method that guarantees a novel with solid story structure. Just follow the prompts and answer the questions about your characters to find out what happens next! 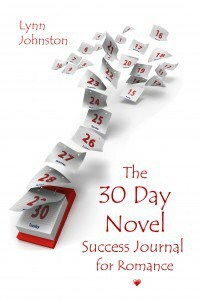 The 30 Day Novel Success Journal leads a single protagonist through a growth arc during the course of the story. 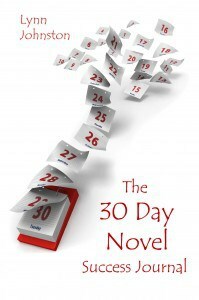 The 30 Day Novel Success Journal for Romance is designed around two protagonists, each with their own growth arc, falling in love during the course of the story. This entry was posted in 30 Day Novel, Characterization and tagged 30 day novel, accessories, action, agenda, behavior, body language, book in a month, character, character development, character expression elements, character traits, characterization, clothing, core traits, creating characters, developing a character, dialogue, facial expression, feelings, flesh out a character, getting to know your characters, goal, goals, habit, habits, hobbies, hobby, how to choose personality traits for a character, how to create a character, how to write a novel, how to write a novel in 30 days, how to write a novel in a month, interior monologue, list of personality traits, main character, nanowrimo, national novel writing month, novel in 30 days, PDF, personality quirk, personality trait, personality traits, possessions, props, protagonist, quirk, quirks, quirks of personality, relationships, romance novel, scars, secondary character, secrets, story people, there's more than one way to skin a character, thoughts, tools, wound, wounds, write a novel, writing a novel on October 20, 2014 by Lynn Johnston.